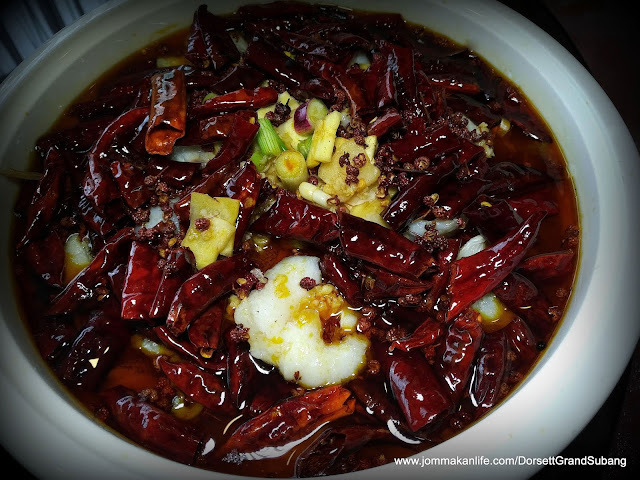 Tongue-tingling Poached Fish Fillet with Dried Chilli & Szechuan Herb Chilli Oil is one of the many sizzling Szechuan and Oriental dishes to set your palate alight in line with the current Mix & Match promotion at The Emperor Chinese Restaurant, Dorsett Grand Subang. Ideal for groups of 4, 6 and 8 persons, the great value Mix & Match meal deal comes with complimentary soup of the day and dessert too. A 4-course menu, priced at RM298 nett for 4 persons, allows diners to select 1 meat dish, 1 seafood dish, 1 tofu or egg dish and 1 seasonal vegetable dish from the Mix & Match menu. For a table of 6 persons, the 6-course menu at RM498 nett entitles diners to pick 1 meat dish, 1 seafood dish, 2 poultry dishes, 1 egg or tofu dish and 1 seasonal vegetable dish. Likewise, the 8-course menu (RM698 nett) means a choice of 2 meat, 2 seafood, 2 poultry, 1 egg or tofu dish and 1 seasonal vegetable dish. For our lunch preview, the comforting Lotus Root Soup and Chicken Soup won plaudits for its timeless, homey appeal; a nice opening volley for our pick of mains to follow. 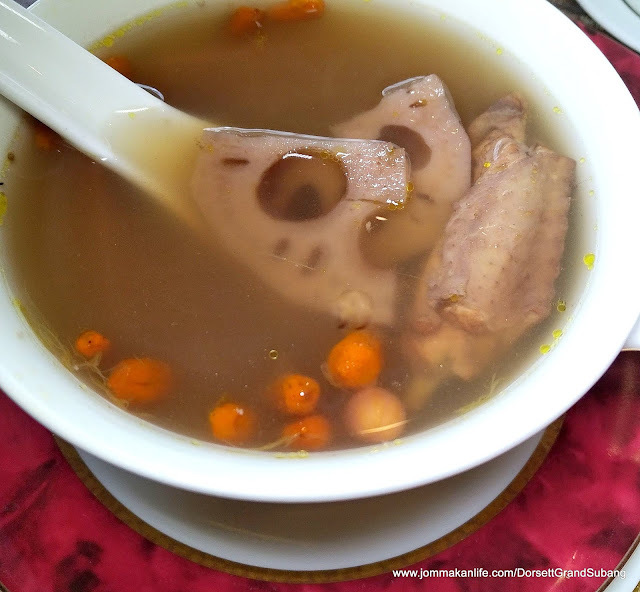 The broth would have Mum's approval as it was chockful of lotus root, chicken, wolfberries and peanuts. 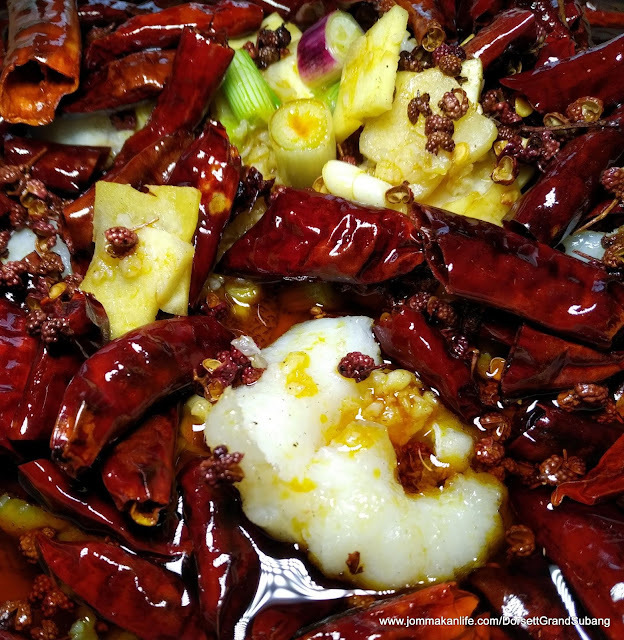 Despite its lethal, blazing hot appearance, the Poached Fish Fillet with Dried Chilli & Szechuan Herb Chilli Oil was surprisingly addictive. 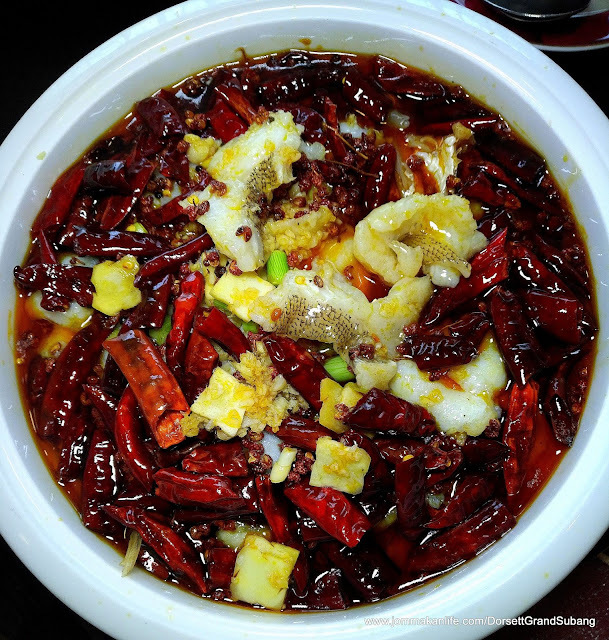 Buried amidst the layer of dried chilli, sliced ginger and spring onion in Szechuan herb chilli oil were smooth, tender pieces of poached fish. Amazingly, the fish’s delicate sweetness remained discernible even as pin-pricks of pleasant ma la numbness zip and bloom across our lips and tongue. We found ourselves returning for repeat helpings throughout the lunch, eager to relive the adrenalin ‘rush’. Memories of a cherished Chengdu trip returned the minute we savoured the sublime Szechuan Style Deep-fried Crispy Chicken & Dried Chilli. 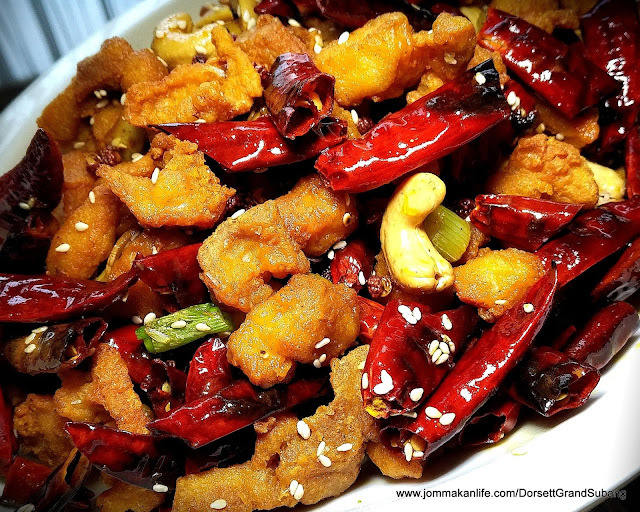 Again, don’t be intimidated by the generous heap of dried chilli as the deep-fried chicken dices proved on-point. The dried chilli merely imbued the delish meaty morsels with subtle heat whilst cashew nuts and sesame seeds lent crunchy and nutty appeal. Prefer a more child-friendly or less spicy-hot option? 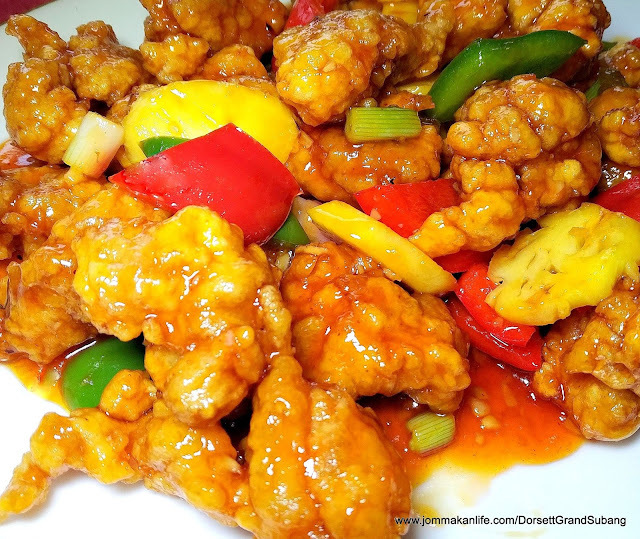 We highly recommend Sweet & Sour Chicken, a notable classic offering designed to please both young and old alike. Lightly battered, the boneless chicken chunks complemented by red and green capsicum pieces, whetted the appetite with its tangy-sweet sauce. Red meat lovers may like to try Braised Lamb with Preserved Vegetable. Served in a claypot, the tender lamb strips and briny preserved veggies formed a hearty, rustic casserole of sorts. Best eaten with plain rice for maximum enjoyment. 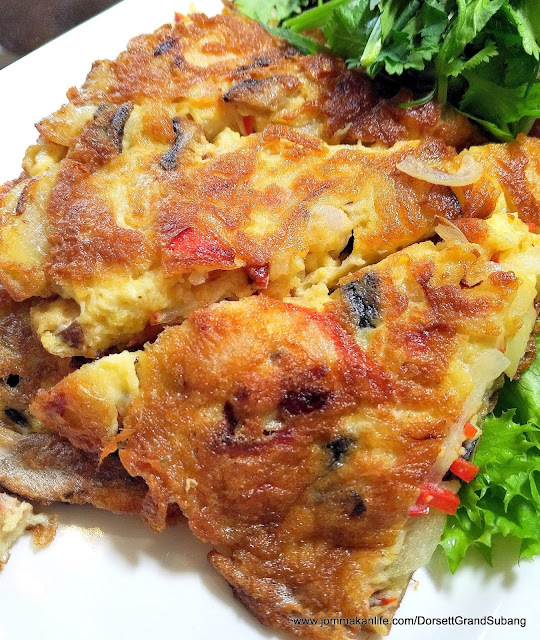 More delectable substance to supplement our Mix & Match meal came from fluffy Fried Omelette with Onion & Barbecued Chicken, and Deep-fried Crispy Beancurd with Chilli & Spiced Salt. 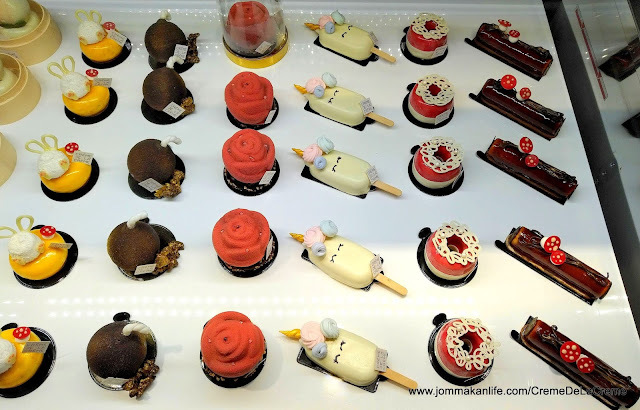 Such evergreen specialities with mass appeal are guaranteed to hit the spot, whether you’re dining with the family or friends. The seasonal vegetable ranges from Chinese spinach, choy sum, kai lan, French beans to siew bak choy. For our lunch, we had an extra a la carte serving of Green Dragon Chives stir-fried with beansprouts & garlic. 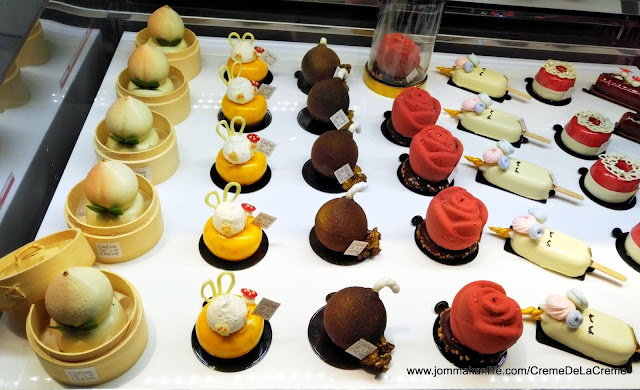 To cleanse the palate after the profusion of heavy flavours, choose from a choice of Herbal Jelly with Honey, Mango Pudding or Almond Beancurd Pudding for dessert. 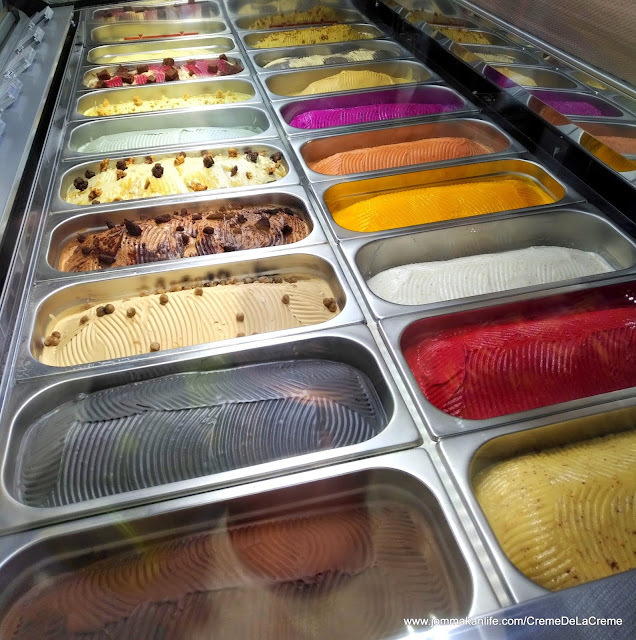 This is part and parcel of the Mix & Match deal, to leave you with sweet memories of your visit to The Emperor. The Mix & Match promotion is available for lunch and dinner daily until 30 April 2019. 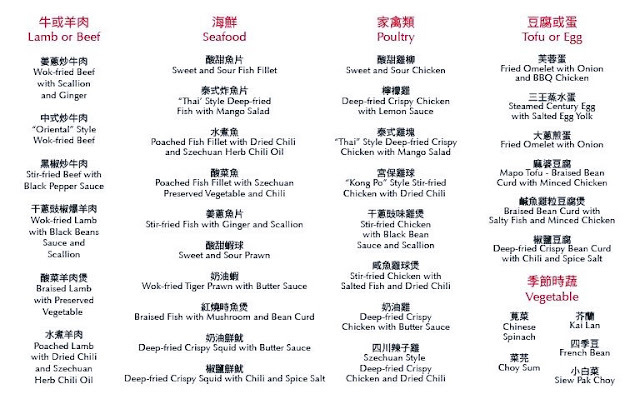 For reservations, call The Emperor Chinese Restaurant, tel: 5031 6060 ext 1954. Address: Level 1, Dorsett Grand Subang, Jalan SS12/1, Subang Jaya, Selangor. 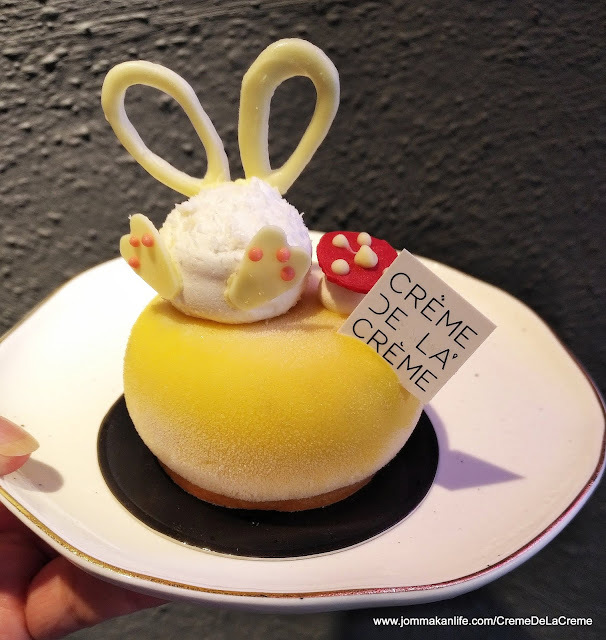 Frolic with a cute and fluffy coconut meringue rabbit perched on a sunny yellow Bunny petit gâteau at Crème De La Crème (CLDC) — Kuala Lumpur’s and Malaysia’s coolest dessert haven right now — for a irresistible taste of ‘Easter in the tropics’. 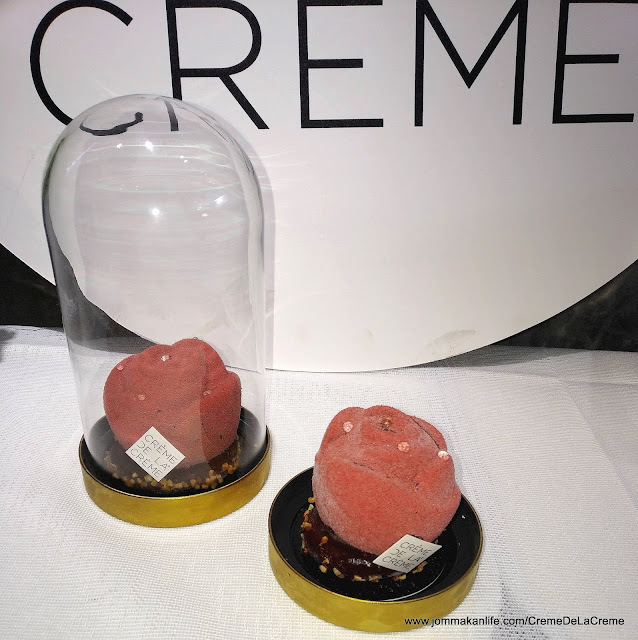 Created using a tropical combination of coconut, mango, calamansi, pineapple, lemongrass and passionfruit on a deliciously crunchy chocolate hazelnut feuilletine base, the artistic ice cream cake masterpiece is one of the many intricately handcrafted dessert selection served at the newly opened Crème De La Crème in Damansara Uptown. 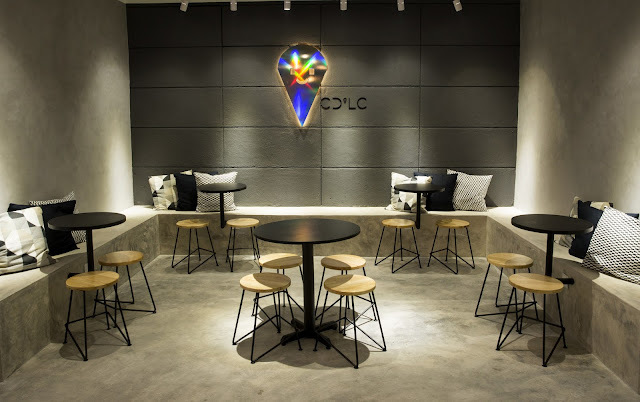 A brainchild of creative soul and passionate ice cream connoisseur Lio Lim (left), CDLC is a stylish haven exuding sleek, clean lines with hip, Instagrammable vibes: a unicorn wall-mounted lighting feature, minimalist furnishing, and expansive glass and chrome showcases. 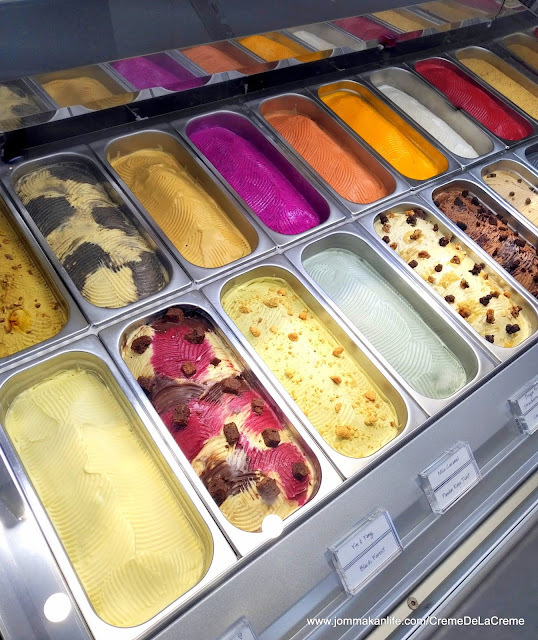 Lio emphasised “only 100% all-natural, fresh and wholesome ingredients are used to create CDLC ice creams from scratch without the use of preservatives, artificial flavourings and colourings”. 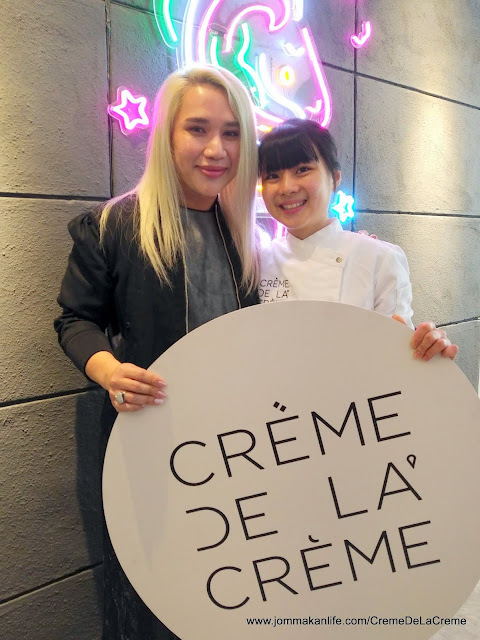 Trained by renowned Australian dessert meister Christy Tania, CDLC aims to raise the bar in Malaysia for ice cream dessert creations. 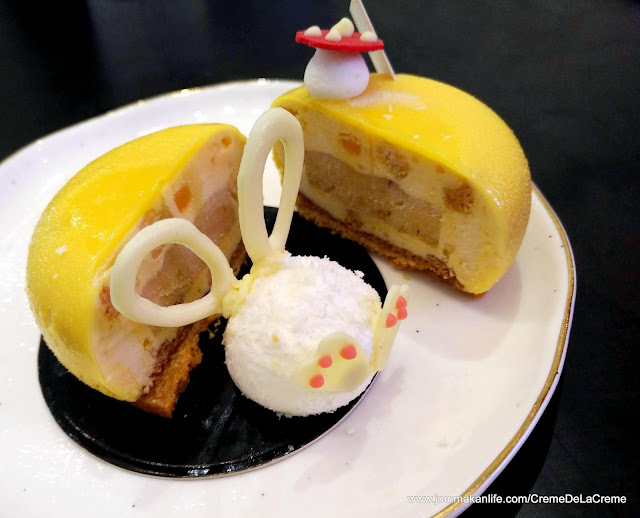 The team at CDLC headed by Pastry Chef Evelyn Chung is meticulously hands-on in every aspect of the creation process in their bid to entice dessert lovers with a plethora of the richest, smoothest, and most irresistible ice cream dessert treats. 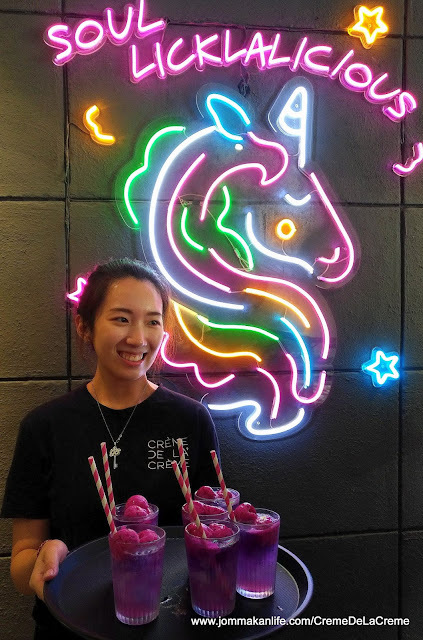 Our palate-pleasing welcome drink, Unicorn Dream was concocted from blue pea flower-tinted lemonade with dragon fruit sorbet. 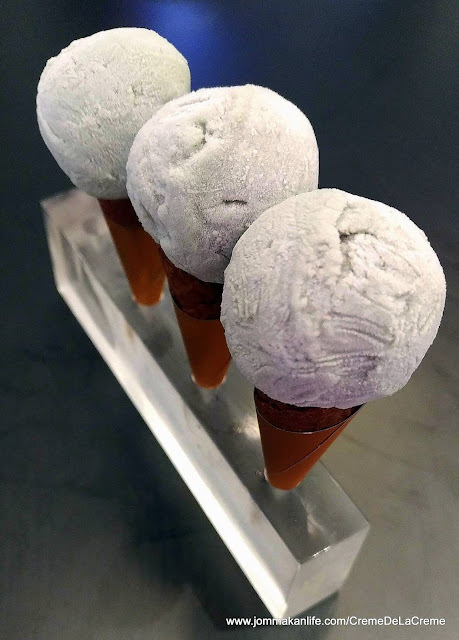 To start the ice cream party rolling, we sampled Barley Lime Sorbet — a clever inspiration of local iced barley drink with freshly squeezed lime juice. 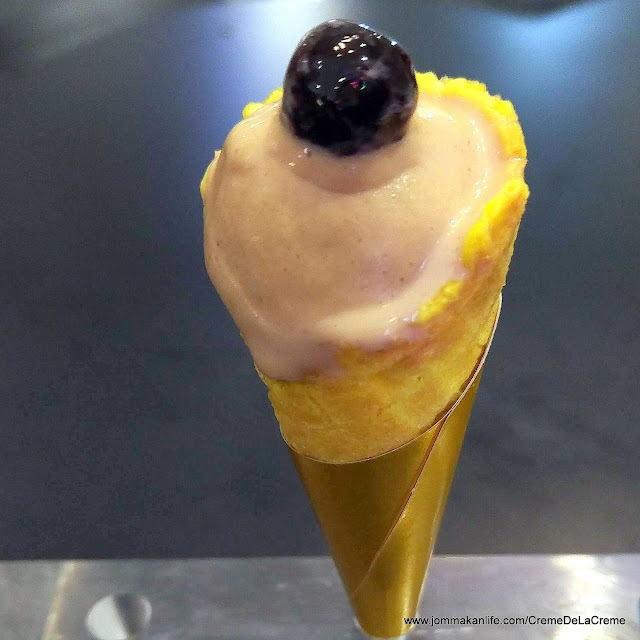 Served on imported dainty lemon cones, the superfine sorbet won us over from the get-go with refreshingly well-balanced sweet-sour accents. 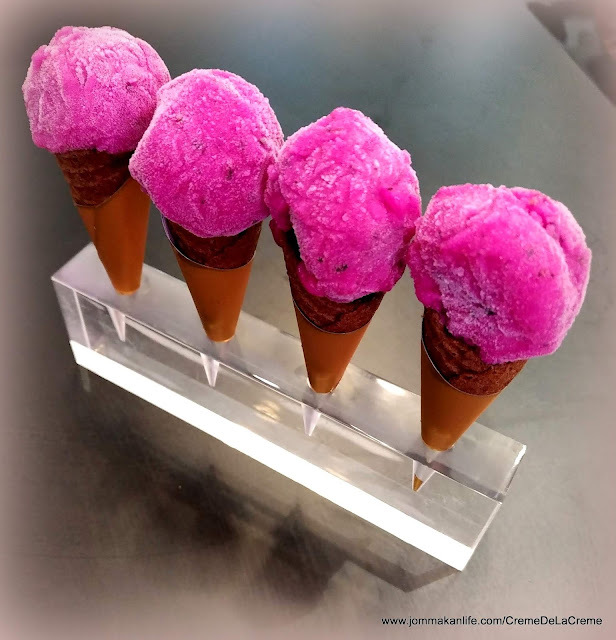 IMHO, that strong showing eclipsed the Dragon Fruit Strawberry Sorbet somewhat. 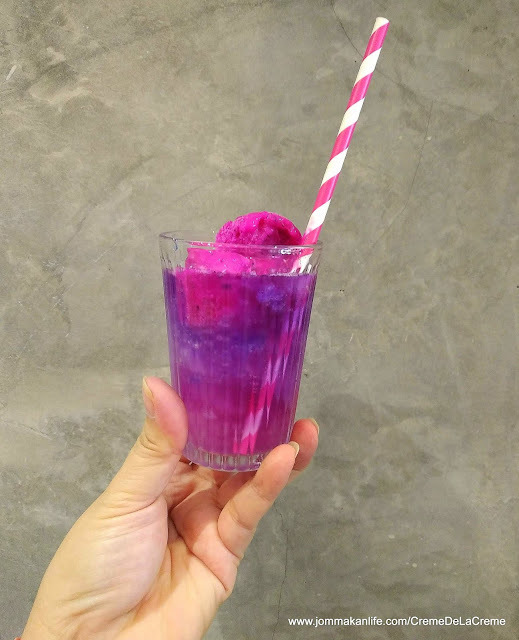 Rich in fibre, anti-oxidants, potassium and vitamin C, the vibrant purple icy treat should hit the spot for berry fans thanks to its tart fruitiness. 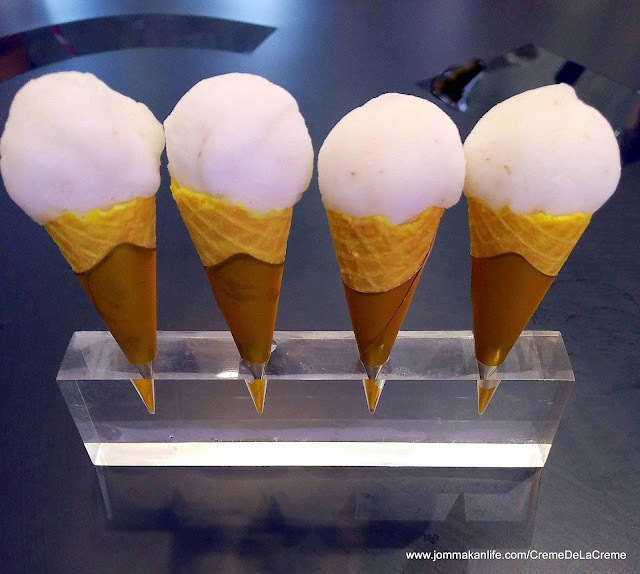 Fresh kalamansi lime juice and salty assam boi made a compelling combo to create the Limau Assam Sorbet, a godsend solution for bringing the temperature down in countering the current hot spell. 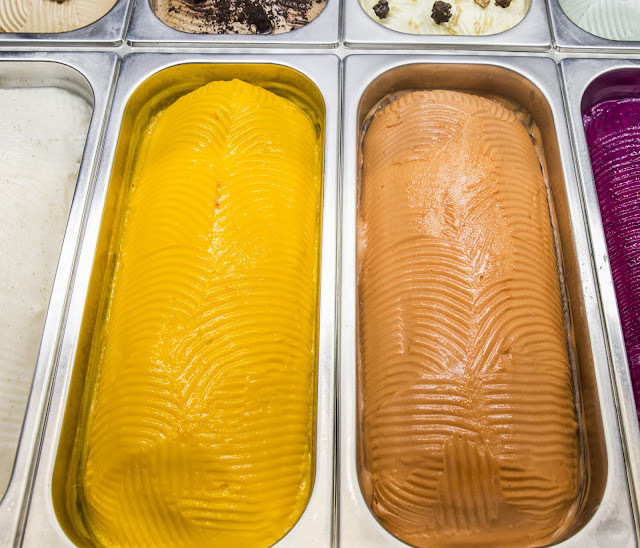 Proof of the pudding is truly in the tasting here as top grade Alfonso mangoes are used to churn out CDLC's Mango Passion Sorbet. 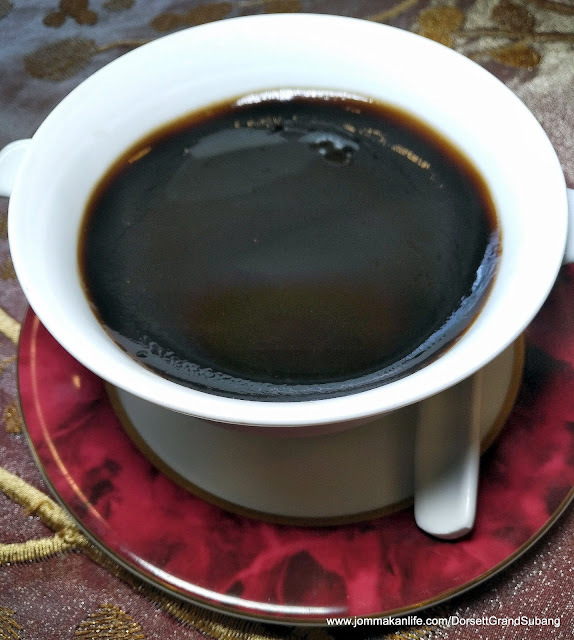 We could tell from the intense fruity aroma and the sensuous sweetness alone. You have to savour it to believe it. 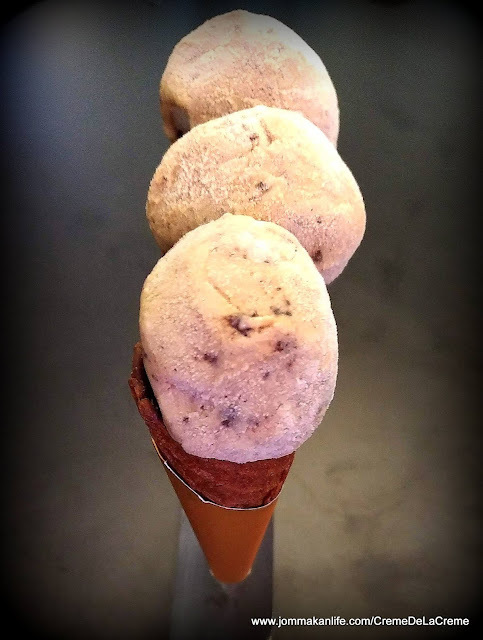 Ditto for the umami-rich and complex Miso Caramel ice cream which put ordinary salted caramel flavour into the shade, making it so passé and ho-hum by comparison. Looking for a low GI, sugar-free option? 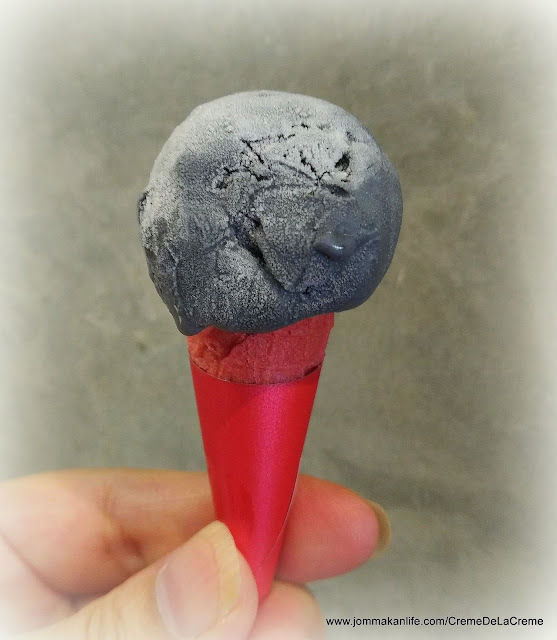 The Madagascar Ash made using maltitol, high quality Madagascar vanilla beans and premium bamboo charcoal powder will be just the sweet treat for you and health-conscious patrons including diabetics. 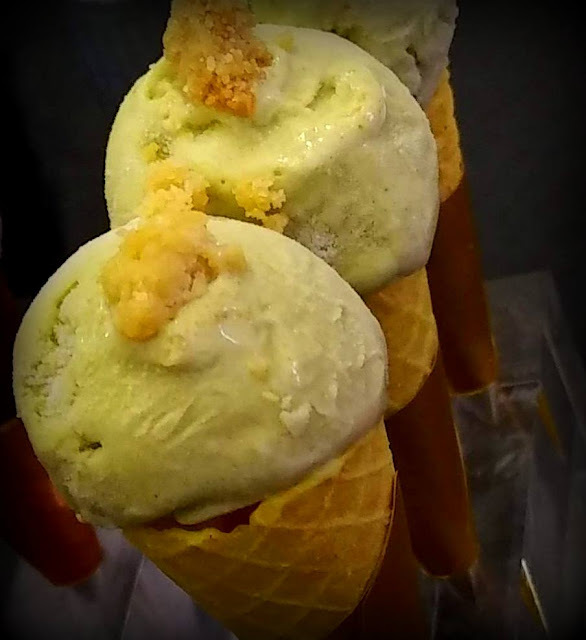 For licks of nostalgia, the Pandan Kaya Toast ice cream comprised a seductive mixture of pandan, coconut & eggs. 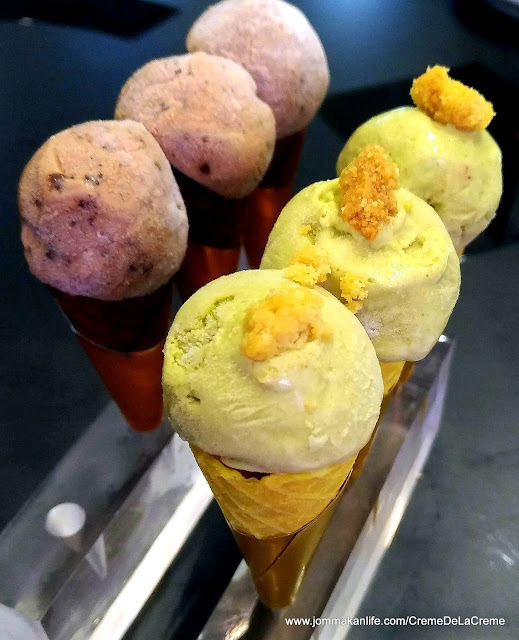 Fresh fragrant pandan leaves are first dehydrated, blended into powder form to create fresh, wholesome, aromatic and all-natural pandan kaya flavour ice cream. 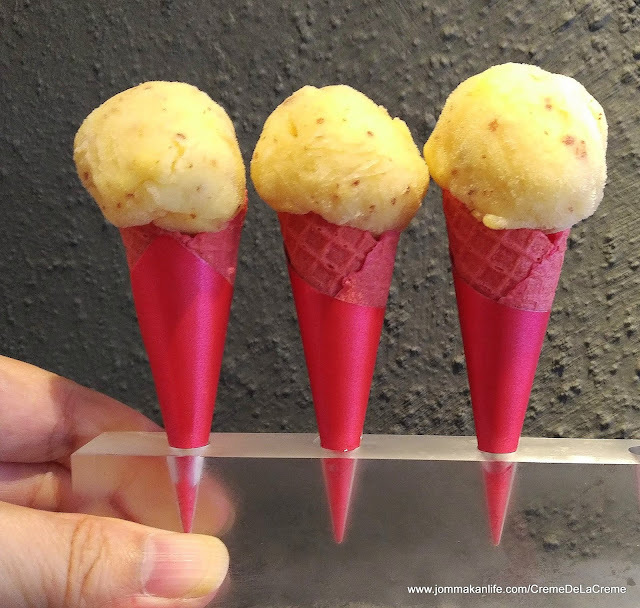 Then a house-baked crumble of almond flour and butter is swirled into the ice cream; to add a toasty and crunchy bite. 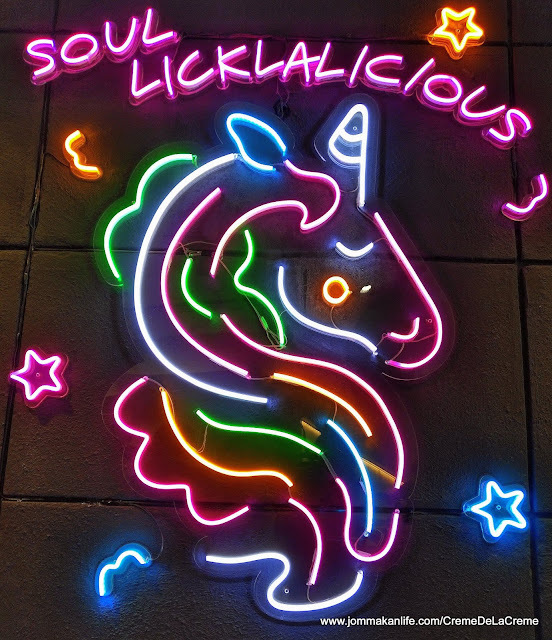 Sedaplicious! 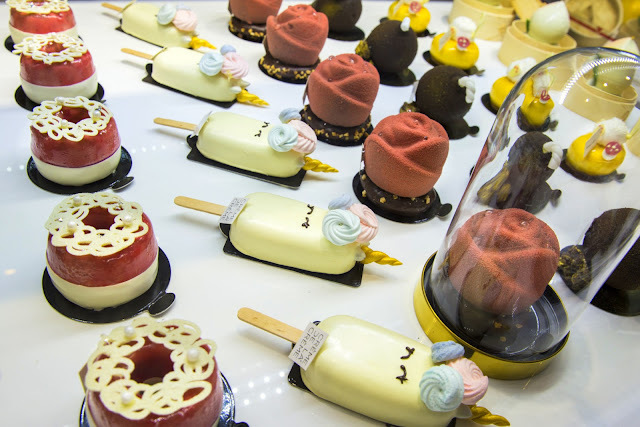 Bubble tea fans can now savour their milk tea with a chi chi touch at CDLC. 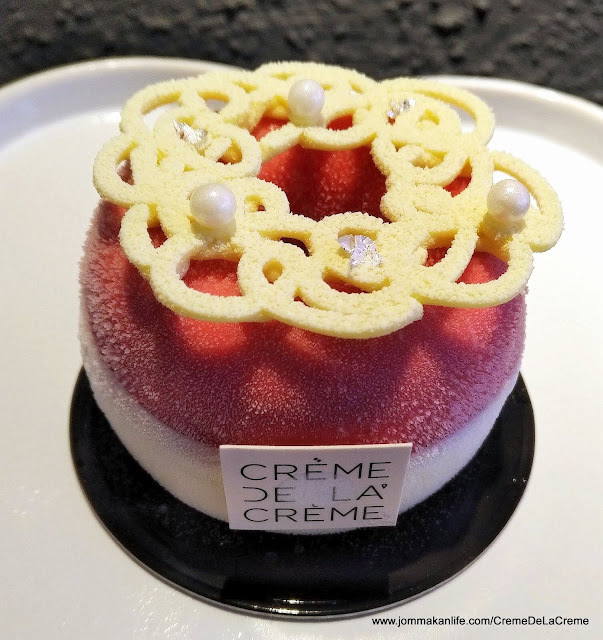 Try the floral-accented French Earl Grey Boba blend served with al dente brown sugar pearls. We did and that milky tea creaminess coupled with perfect QQ chewiness left us no cause for complaint. Millenials and the hipster set may prefer brekkie flavours such as Cerealicious (lower pix) and Cookies & Cream (upper pix). 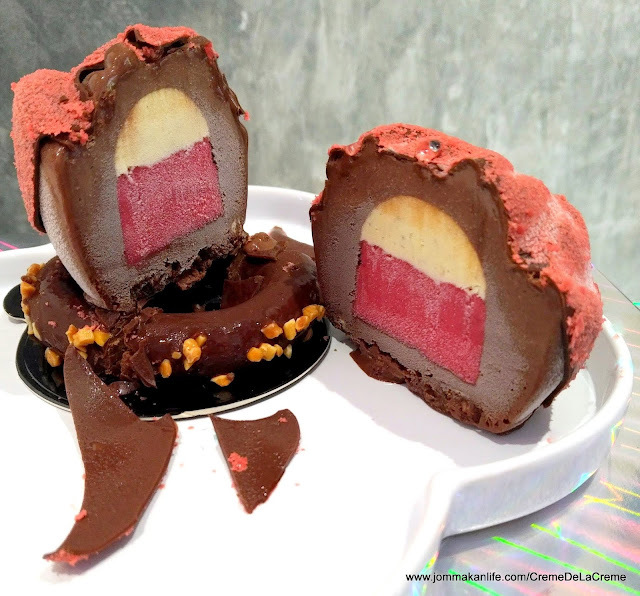 The former — strongly reminiscent of cereal soaked in fresh milk — flaunted a baby blue hue from butterfly pea flower extract whilst the latter is made by mixing vanilla ice cream with chocolate cookies baked from 63% French Weiss dark chocolate ganache and extra house-made chocolate cookie crumbs. The belle of the ball here is the gorgeous Beauty & The Beast creation. 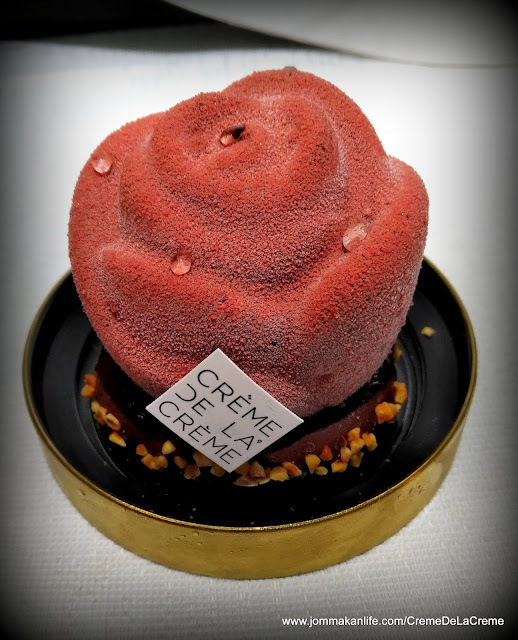 A heavenly match of 63% Dark Chocolate and Vanilla ice cream, the spellbinding blossom is complemented by Morello Cherry Sorbet to achieve a perfect balance of bitter, tangy and sweet. At the base, dark chocolate crumble, chewy chocolate brownie and almond nibs gives the delectable and beautiful treat extra crunch. Inspired by a lady’s pearl necklace, the elegant Lady Pearl is an exquisite sight to behold. 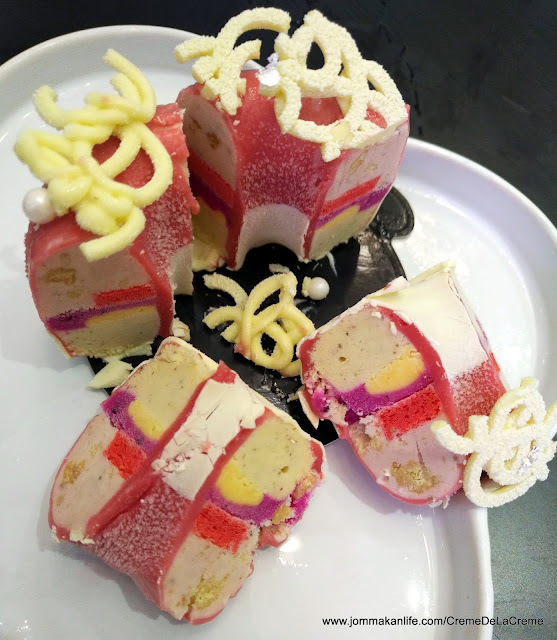 A delightful mix of Strawberry and Madagascar Vanilla ice cream, this lovely petit gâteau includes Dragon Fruit Strawberry sorbet to bring out the fine flavours it has to offer. 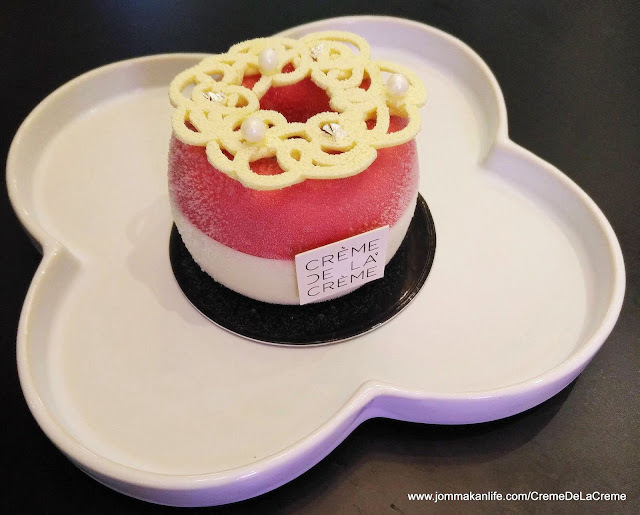 Amidst textural contrasts of buttery crumble, red almond sponge and passionfruit crémeux, there’s a perky taste of raspberry glaze too. 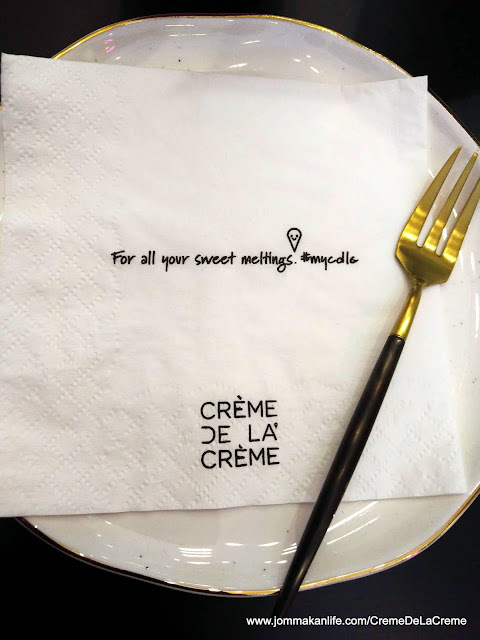 For more information, please call Crème De La Crème, tel: 03-7494 0735. Address: 35G, Ground Floor, Jalan SS21/60 Damansara Utama, Selangor.